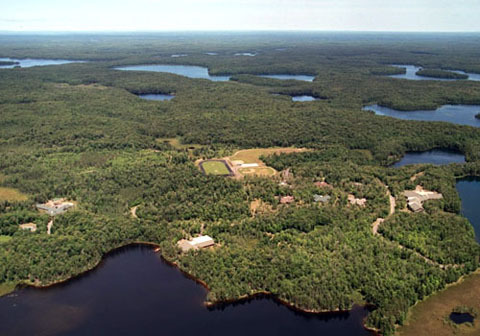 Conserve School is a conservation-based semester school for high school students located in the beautiful Northwoods of Wisconsin. We have 1200 acres of our own forested land, and our campus abuts many more thousands of acres of wilderness. Students who have a strong interest in the environment and in outdoor activities come to Conserve School for a special semester-long experience away from their regular high school. They keep up with all of their academic studies while enjoying classes focused around the theme of environmental stewardship along with wilderness trips and frequent, varied outdoor activities. Conserve School, founded by the philanthropist James R. Lowenstine, provides all students with full-tuition Lowenstine Honors Scholarships. Admissions is competitive. Students accepted to Conserve School are accomplished and hard-working, with a demonstrated interest in environmental stewardship and outdoor activities and strong records in academics, leadership skills, and extracurriculars. Conserve School was recently recognized by the United States Department of Education as a 2014 Green Ribbon School — one of 48 schools selected for this honor from around the country through a comprehensive application and review process. Am I missing something or have there been no posts since 2013? My son is there now and I’d like to keep up. Thanks! We should be posting one or two articles a week for the rest of the semester. 🙂 Enjoy! Are you able to bring your vehicle to this school with you and use it when you have off time? Yes and No. Yes, you may bring non-motorized bicycles to school and travel around campus and in to town during your free time. No, you may not bring motorized vehicles to Conserve School. Hi Susan — Please check your e-mail for instructions on how to access Annie’s e-portfolio. Enjoy! Your daily posts to the blog are great and give us a great sense for what is going on at Conserve. This, like everything else you do, shows your commitment to the students and families you serve.